Admiral William H. McRaven, a retired U.S. Navy Four-Star admiral, best-selling author and former Chancellor of the University of Texas System draws on his extraordinary experiences to offer audiences insight on U.S. foreign policy, the current geopolitical environment, authority amidst uncertainty, overcoming adversity and the determination to succeed. McRaven is a recognized national authority on U.S. foreign policy and has advised Presidents George W. Bush, Barack Obama and other U.S. leaders on defense issues. 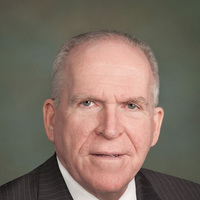 During his time in the military, he commanded special operations forces at every level, eventually taking charge of the U.S. Special Operations Command. His career included combat during Desert Storm and both the Iraq and Afghanistan wars. He commanded the troops that captured Saddam Hussein and rescued Captain Phillips. McRaven is also credited with developing the plan and leading the Osama bin Laden mission in 2011. As the Chancellor of the UT System he led one of the nation’s largest and most respected systems of higher education. 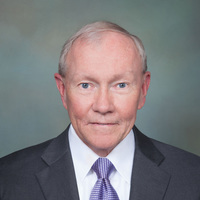 As the chief executive officer of the UT System, McRaven oversaw 14 institutions that educated 220,000 students and employed 20,000 faculty and more than 80,000 health care professionals, researchers, and staff. McRaven has been recognized for his leadership numerous times. In 2011, he was the first runner-up for TIME magazine’s “Person of the Year.” In 2012, Foreign Policy magazine named McRaven one of the nation’s “Top 10 Foreign Policy Experts.” In 2014, Politico magazine named McRaven one of the “Politico 50”, citing his leadership as instrumental in cutting though Washington bureaucracy. In 2015, he received the Intrepid Freedom Award for his distinguished service in defending the values of democracy. In 2016, McRaven was named the recipient of the Ambassador Richard M. Helms Award by the CIA Officers’ Memorial Foundation, and in 2018 he received the Judge William H. Webster Distinguished Service Award for a lifetime of service to the nation. He currently serves on the Council on Foreign Relations (CFR) and the National Football Foundation. 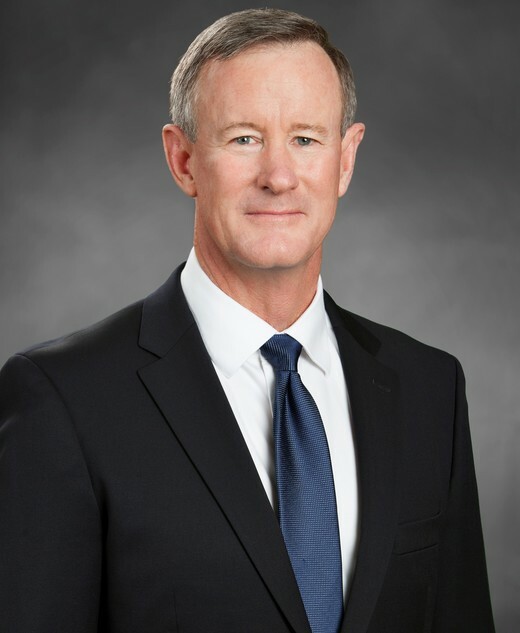 McRaven is the author of three books including, SPEC OPS: Case Studies in Special Operations Warfare and Make Your Bed: Little Things That Can Change Your Life and Maybe the World, based on his 2014 UT Commencement Speech that received worldwide attention. Using personal narratives drawn from his extraordinary experiences he imparts to his audiences lessons in team work, personal accountability, resilience and leadership. His third book, Sea Stories: My Life in Special Operations will be released in May 2019. In this moderated discussion, Admiral William H. McRaven eloquently draws on his extensive career of 37 years of service as a Navy SEAL. The discussion addresses issues such as U.S. foreign policy, the current geopolitical landscape, leadership during high-stress situations, risk management, teamwork, resilience in the face of adversity, resourcefulness, personal accountability, and the determination to succeed. His presentations are distinctive and customized to meet the needs of your audience. Admiral William H. McRaven captivates audiences with his exceptional leadership experiences, exploring today’s geopolitical environment and a look forward to America’s place in an ever-changing global community. 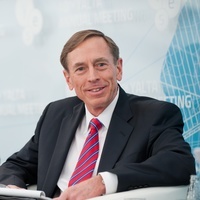 His principles of leadership and risk management are applicable to any organization and he firmly believes in the necessity of preparation, order and discipline, knowing that they are naught without a distinct and meaningful purpose or goal. He shares impactful narratives, lessons and insights on authority amidst turmoil and instability, the force of teamwork and personal initiative, resilience in the face of opposition, and the unconditional importance of never giving up. He challenges his audience and encourages them to accept responsibility, be creative within the rules, take control of their circumstances, and maintain focus during times of conflict. Audience members are inspired to apply McRaven’s diligence, courage and risk management strategies to their own lives and put in place the tools that will help them not only succeed within their organization but also reach new levels of achievement. "10 out of 10. People are raving about his performance."